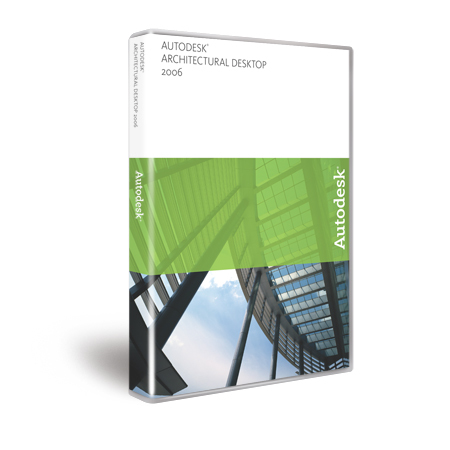 Autodesk is now shipping VIZ 2006. Autodesk feature list, Alex's blog and the Autodesk press release. This has shaped up to be one awesome release! Discreet has the new brand showing on their website. In past releases of ADT (2005 and lower) the process to create your own custom tags was not a process for novice users. All that has changed with the 2006 release, now if you can sketch it you can create it. For a good example at seeing this step-by-step check out this post by David. 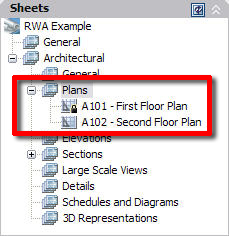 This has changed in 2006 as the Schedule Tables, Schedule Tags and Property Set Definitions have been centralized (moved) to the following location: C:\Documents and Settings\All Users\Application Data\Autodesk\ADT 2006\enu\AEC Content\Imperial or Metric\Documentation\Schedule Tables.dwg. This makes the file above a one stop location for modifying related content/data. Bonus Note: Schedule tags are no longer available thru DesignCenter but can be found in the palettes/catalogs with more options than before (including the ability to easily attach Property Set Definitions to your objects without a tag). Another useful item in regards to locking notification is that as the .DST file gets written to/updated briefly you will see a lock icon next to the sheet set name in the SSM when this occurs (see graphic below). If you see a green dot in the lock icon it means you have temporarily locked the DST file, if it is red it means another team member has it temporarily locked. 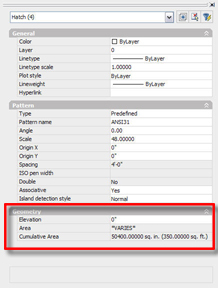 One of the new simple and overlooked items within ACAD 06 is that hatches now display the area and cumulative area when selected. This one simple item can save you a few keystrokes in retrieving data. For those who have not visited the Vizdepot recently, version 4 of the site is now up and live. Steven has a few new features that are being completed almost daily to make the experience even better. If you have not been by in a while stop by to have a look. Over the past two years I have seen a growing interest among cad/visualization users to increase their photoshop skills. 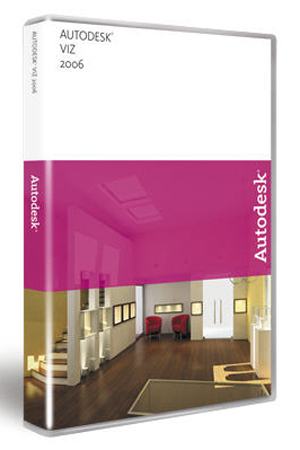 Recently I have been reviewing the latest book from Scott Onsott called "Enhancing CAD Drawings with Photoshop". Having integrated photoshop in my workflow for a number of years and learning the hardway what works and what does not, this is one book I wish would have been made available in those early days. From the simple to advanced this book offers quite a bit including (but not limited too): layers, raster/vector understanding, color fills, entourage, custom utilities (lisp, maxscript) to get to/from AutoCAD and Viz/Max, compositing, painting and numerous other techniques. If you have a cad background and looking to make the transition to using photoshop and learn the many tips/tricks to make this easier you should purchase this book. You know your around a great group of people when several meet to go out to dinner and the converstion keeps coming back to cad, programming and BIM! I will be posting photos and event updates while at each location. Stop by to say hello and chat about CAD, BIM and related technologies, I hope to see/meet you there. Enter Avatech's eAvaNews Rendering Contest to Win a Cruise! Hundreds compete, but only a select few gain places of honor on our Wall Of Fame… and only one will venture out onto the high seas. Show your skills, your expertise, and give us a glimpse into your imagination! Submit your rendering and visualization images to Avatech’s 4th Annual Rendering Contest.The deadline for entries is April 15, 2005. Prices are awarded in three categories: Manufacturing, Civil/GIS, and Architecture. Each category winner receives a $250 Amazon.com gift certificate, and one overall grand prize winner will enjoy some sun and fun during a fantastic cruise. Congratulations to last years winner Brent Bowen for his impressive Architectural rendering submission. Now let's see your submittal! ADT 2006 is now shipping for subscription customers. Been a few fun weeks getting the implementation packages ready for the upcoming and soon-to-be released versions of software from Autodesk. With this release of ADT there are several things I am excited about. First off the use of Project Standards is H U G E (not to mention the speed with which this works in keeping your projects updated)! Spent the last week in the Harrisburg, PA area with a great group of people who have really taken to learning and understanding the ins/outs of ADT. One of the highlights from the past week, seeing users who never knew ADT had a detailing package in past releases (3.3 and lower) and a rewritten/update for 2004 and seeing their excitement in learning to leverage this tool effectively. The addition of keynotes and keynote legends in 2005 helps make this tool even better. I know what your thinking, the only way to make this better would be to not have to edit this manually using MS Access. 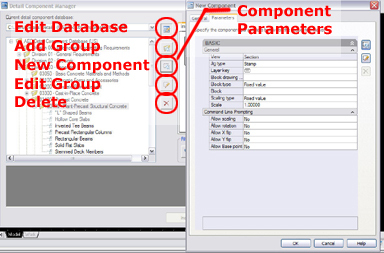 For those thinking about this; ADT 2006 now offers you the ability to edit the database directly (see image below). Similar functionality is also available to edit your keynote database (including a stand-alone Keynote Editor and Keynote Migration Utility).